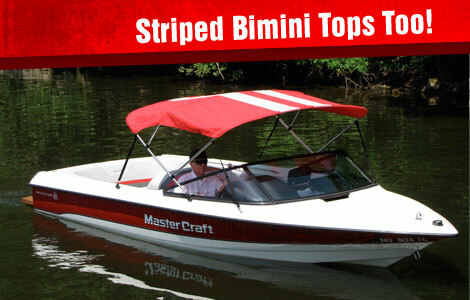 iboats.com has the largest selection of bimini tops for boats, pontoons & wakeboard towers. Quality bimini tops by the industry-leading manufacturers. Best color, fabric & accessory selection. Industry-best warranties - Built to last! Pontoon, dual pontoon & tower biminis. Exclusive! Single and double striped biminis. Fast, free shipping in the continental U.S. The iboats.com BiminiFinder - the best way to find the right bimini top for your boat! 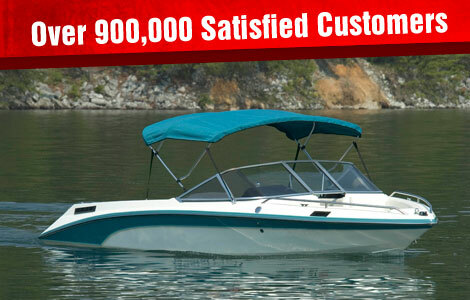 Welcome to iboats.com, the largest online retailer of quality boat bimini tops. We carry durable, made-to-order biminis and ready-made tops. Each top is crafted with your choice of marine-grade fabrics, such as canvas, polyester, vinyl or Sunbrella®. 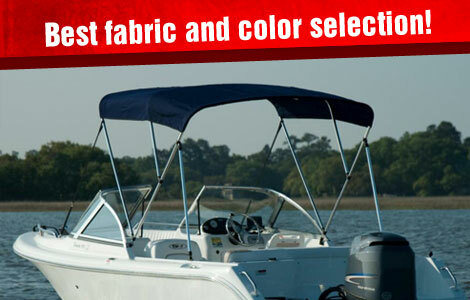 With the largest color selection available, you're sure to find a bimini top that will look great on your boat. A lot of companies make biminis, but the premier top that other's strive to match is the quality and value of our biminis, manufactured by our big three industry leading partners that also make our all-weather boat covers: Carver, Westland, and Taylor Made. 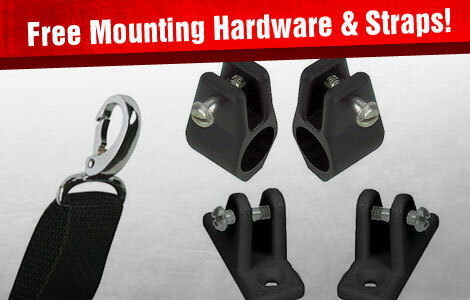 We have industry-best warranties and use only tough, water repellent fabric, double stitched for strength and durability, durable hardware for frames, and of course all the needed mounting hardware included with every bimini package. With one of our economical and durable bimini boat tops you'll get plenty of sun and rain protection, welcome shade, and good visibility and headroom with plenty of air circulation. All models are free-standing for mounting flexibility and include easy, do-it-yourself installation guides with step-by-step instructions. Now it's easy to protect yourself and the value of your boat. Plus, we have single-striped and double-striped biminis too - an iboats.com exclusive. Our selection also includes durable bimini tops for pontoon boats, plus quality biminis for wakeboard boats, ski boats, and deck boats with towers. Our BiminiFinder will quickly help guide you to the correct discount bimini top for your boat model. Our friendly Customer Service is available to answer any question you might have. We also offer a selection of quality bimini accessories including storage boots, stainless steel upgrades, slide tracks, and rear braces. 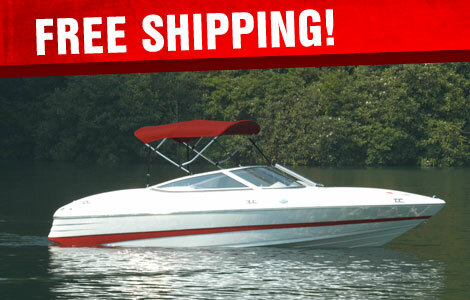 And as always, iboats.com has fast, Free Shipping on all bimini tops direct to you.